Workers in a manufacturing industry setting require unique forms of communication catered to their surroundings. 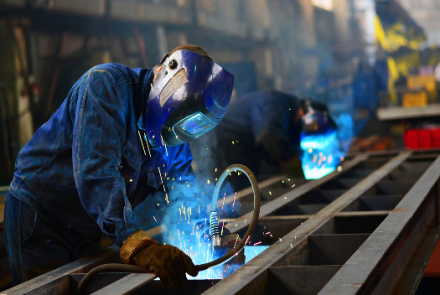 Excessive noise, hazardous chemicals and heavy equipment are just some of the many issues faced by factory workers which are capable of disrupting their ability to communicate as well as jeopardising their safety. 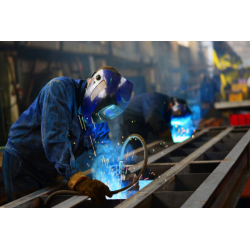 With the right tools however, good communication and awareness between staff can help the operations of a factory run smoothly and efficiently, keeping workers productive and injury free. Constantly being in touch means that people can ask for help in case of an injury or an emergency, which is key when workers are left alone in dangerous conditions. The Q&X devices can withstand up to a 1.2 meters fall making it durable in accident prone conditions. The casing is water/dust/scratch proof which allows the devices to be used with damage in most factory conditions. The Q5 Model is capable of withstanding temperatures of up to 60 degrees Celsius, ideal for factories that work in high temperatures. The large keypad can be operated even when wearing thick gloves. Extended battery life gives the Q&X devices over 25 hours of talk time making sure you don’t run out of power at inconvenient moments. All devices are wireless allowing continued oral communication between users. Instant ‘push to talk’ feature ensures quick responses to emergency situations. Instant communication allows supervisors to find specific employees quickly. The powerful telephone receiver with adjustable volume control makes it possible to use the ‘walkie-talkie’ feature even with high levels of background noise which are common in factories. To further boost audio output, add on professional grade PTT audio accessories which can boost audio output to 94 dBs. The external loudspeaker has adjustable volume to serve as a conference phone. The volume control can be adjusted so several people can hear the conversation as a group. Automatic answering also makes it possible to answer the device hands free in situations that require a factory worker’s hands to be in use. The Emergency App can detect emergencies as a result of a fall or lack of motion making it easier to monitor factory workers who are in emergency situations. SOS features are available even with an analog signal. The Timesheet Tracker helps to manage your projects and keep a record of your work. Near field communication has the ability to reduce the time it takes to process items, enabling customisation at any point in the production process and simplifying logistics. QR Scanner feature allows information to be exchanged seamlessly between workers. Runbo’s Communication Devices are priced so every worker in your factory can be linked for instant and continuous communication. Increased safety through reliable communication streams and emergency functions helps keep workers safe reducing costs from injuries and insurance. Efficient communication saves time, money and lives!